Do you have a Youtube channel, a blog, Facebook page, or other media, and are looking to write a critique? Do you cover events? If you are connected to the world of anime and geekiness, then we may be able to offer you a badge in exchange for event coverage! We ask for a minimum of two items (articles, videos, podcasts, etc.. your preferred choice of media!) to be published providing some coverage of our event on your site: first, an announcement that you will be attending the upcoming convention to cover it, and later, a piece of media coverage on the convention in the 2-3 weeks after it has happened. If this is something you’re interested in, then great! 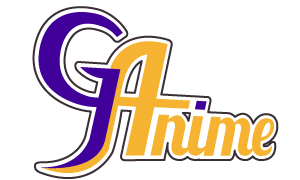 To grab your weekend badge, send us an e-mail describing yourself, your endeavors, and your audience to the following e-mail address: media@ganime.ca. We will look into your request (don’t worry, we’re not that difficult to please!) and get back to you as soon as we can!